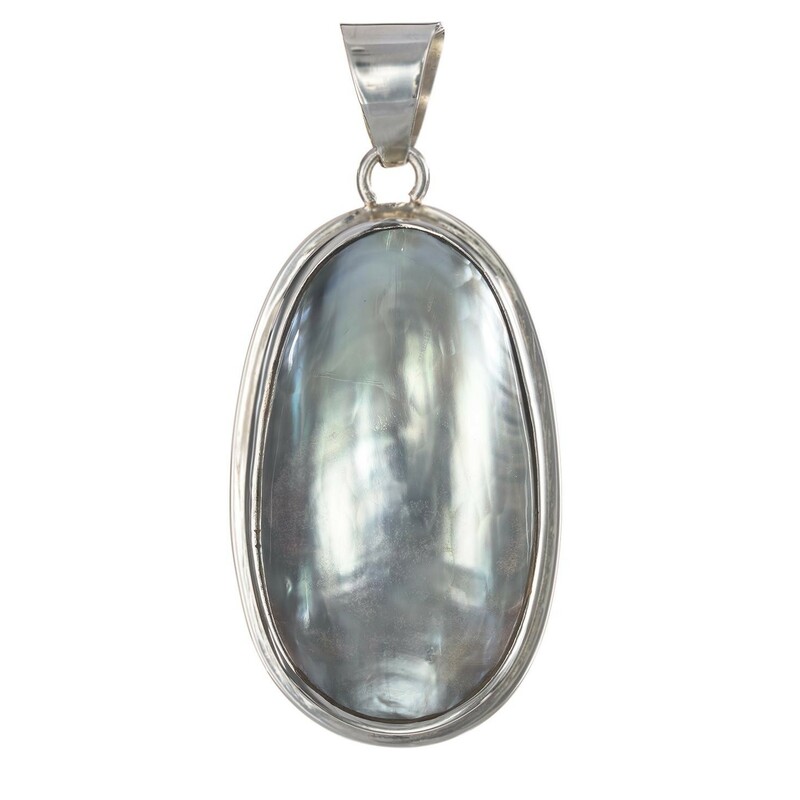 Double Brimmed Natural Cukli Shell Pendant: Soothe yourself with an oval shaped cukli shell imbibed in double brimmed silver capsule case. Phenomenon created by this sterling silver pendant triggers your fashion sense in the highest manner. Handcrafted jewelry is famous for symbolizing pow... Read more. Double Brimmed Natural Cukli Shell Pendant: Soothe yourself with an oval shaped cukli shell imbibed in double brimmed silver capsule case. Phenomenon created by this sterling silver pendant triggers your fashion sense in the highest manner. Handcrafted jewelry is famous for symbolizing power and sending a message throughout our history.